PROVIDENCE, R.I. (AP) — Fans of H.P. Lovecraft’s writings are trying to use the growing fame of the early 20th century fantasy-horror writer to promote Providence’s weird side. Lovecraft so identified with Rhode Island’s capital city that he wrote “I am Providence” in a letter. His headstone bears the phrase. Some of Lovecraft’s best-known works are set in Providence. Tuesday marks the 79th anniversary of his death. 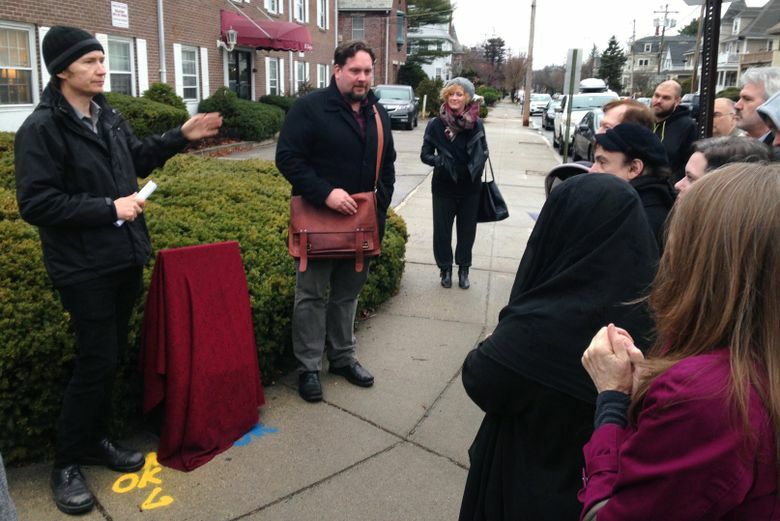 A light rain fell as about 20 people gathered where Lovecraft’s childhood house once stood for the unveiling of a marker. 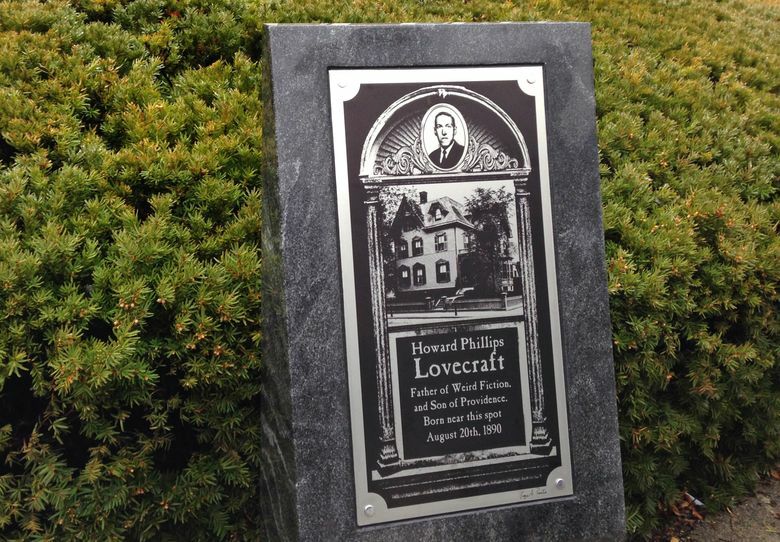 The nonprofit Lovecraft Arts & Sciences Council placed the marker as part of a broader effort to foster the weird fiction and art community in Providence and highlight Lovecraft and other writers and artists. It’s working to publicize local historic sites, weird events and unique destinations. The council wants to use Lovecraft to present Providence as a capital for weird, fun and imaginative events, said Niels Hobbs, the director. 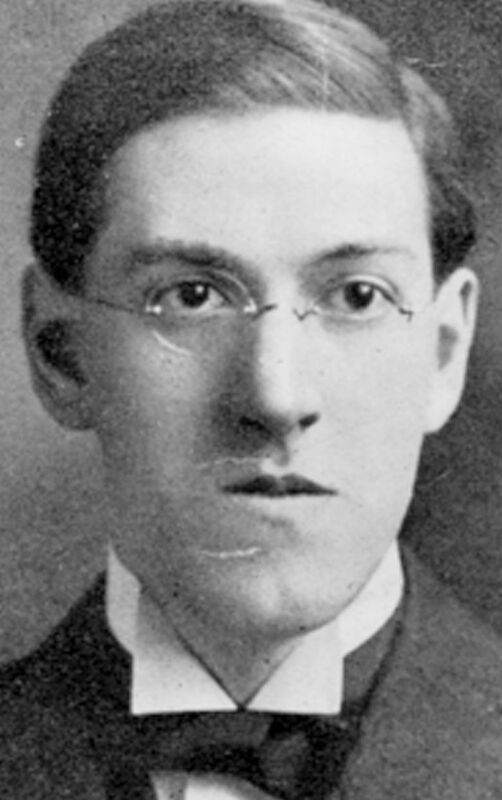 Howard Phillips Lovecraft was born in Providence on Aug. 20, 1890. He spent a brief period in New York, then returned and lived in Providence until his death on March 15, 1937. An obscure pulp fiction magazine writer in his lifetime, Lovecraft was rediscovered in the decades following his death, inspiring a new generation of horror, fantasy and science-fiction writers. While considered one of the great American horror writers, Lovecraft is considered controversial because some of his writings include his racist beliefs. In detailed, dense prose, Lovecraft combined horror with science fiction and developed what is commonly referred to as cosmicism, the idea that man is insignificant in the universe. He writes about creatures such as Cthulhu, (ka-THOOL-hoo), part octopus, dragon and human. The story, “The Call of Cthulhu,” features sites in Providence and “The Case of Charles Dexter Ward,” is set in the city. Providence native Thomas Broadbent has been raising awareness of Lovecraft since being drawn to the bizarreness of his stories as a teenager. Thousands of people visit an online archive of Lovecraft stories daily, which webmaster Donovan Loucks attributes to a fascination with the fiction and Lovecraft himself. 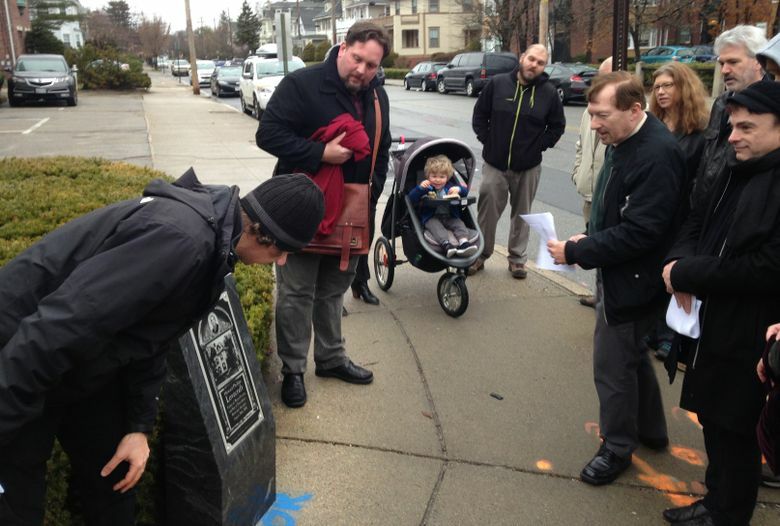 Lovecraft aficionados, drawn to Providence, leave trinkets and notes at the author’s gravesite in Swan Point Cemetery. The Lovecraft council has a store downtown and holds conventions and events to celebrate Lovecraft’s work and influence. An annual Lovecraft tribute draws crowds to his gravesite and the Ladd Observatory in Providence, where Lovecraft, an amateur astronomer, often visited. This year’s is planned for April 10. Carl L. Johnson, the organizer, recalled strange occurrences during the graveside ceremonies, from sudden changes in weather to a group of crows, known as a murder, cawing during readings. Some devotees have even reported feeling icy fingers on their arms and wrists, as if an occult hand had grabbed them. Though Johnson, a paranormal investigator, chalks most of this up to good timing and coincidence, he considers Lovecraft the “master spirit” of Providence.